New Delhi: LIC Housing Finance Ltd (LICHF), a subsidiary of Life Insurance Corporation of India (LIC), plans to launch a ₹ 500-750 crore real estate venture capital fund shortly. The fund will be raised through its subsidiary, LIC Housing Finance Asset Management Co.
LICHF plans to disburse ₹ 25,000 crore in the current fiscal, Sharma said. “As there is more demand from real end-users, 93% of our lending is to retail, home loan borrowers," he said. “Rest of the lending is to commercial real estate for construction. Compared to the previous fiscal, the share of our lending to commercial real estate has come down from 12% to 7% this year." LICHF plans to launch affordable housing projects for senior citizens in all the state capitals. “We have already begun constructing houses for senior citizens in Bhubanehwar. 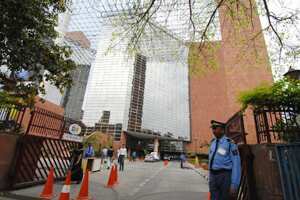 Next year, we will start a similar project in Bangalore," Sharma said. LICHF last year said it would build affordable housing in the price range of ₹ 6-8 lakh, picking one state every year. The company has already acquired land in Bangalore and Jaipur.